Bringing on a new employee for your business can be exciting. But processing all the applicants and handling new hire onboarding is a hassle. The less time you can spend on paperwork and administration, the more time you can spend on selecting the best candidates and helping them get started on the right foot. Here are three ways your organization can streamline the hiring process in 2017. For many businesses, posting a job advertisement on just one platform doesn’t yield enough high quality candidates for a position. This means it’s necessary to attract applicants across a variety of job boards and professional networking platforms. Ideally, all these applicants should be funneled through a uniform process with the same application for consistent, accurate collection of information. Instead of relying on paper forms, endless emails, or on the online application process unique to each platform, it makes more sense to have a company-specific portal or “career page” to capture all applicant information. A customizable applicant tracking system (ATS) will streamline the hiring process in 2017 by interfacing with all the popular job boards. It also allows you to create job-specific fields and filter candidates by their answers to key questions such as available start date or shift preference. Additional tip: A modern ATS should be available on mobile devices—not just desktop browsers—to capture quality candidates from the millennial generation along with older, tech savvy users. Once you’ve made the hiring decision, actually preparing a new employee for their first day of work can take a lot of effort if you are still using paper forms or an outdated fillable form system. Consider using an online solution that features a simple interface to walk new hires through the process while enforcing rules and reducing errors. A virtual onboarding portal is available across multiple locations, ensuring that new hires at any facility will go through the same process. Of course, you need to select a solution that automatically presents the correct forms based on location, job position, and more. For example, some states have a state income tax form while others don’t. Again, customization is important. A good onboarding system lets you upload company-specific forms such as policy receipt acknowledgements and includes image capture capabilities for supporting documents such as ID, licenses, and certifications. Additional tip: To avoid redundant data entry, integrate your ATS with your employee onboarding solution. This saves time on an employee’s first day since data is seamlessly transferred to pre-populate relevant fields in each form. Data that’s captured during the application process and new hire onboarding still needs to be distributed to additional departments. Seamless integration of employee data into the HR Payroll System eliminates the need to rekey data—reducing the chances of an error that might delay a new hire’s pay. Additional tip: Look for even more ways to automate distribution of data. For example, consider electronic I9 submission to verify work authorization status for new hires. 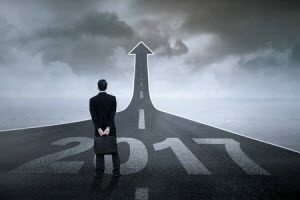 Are you ready to streamline the hiring process in 2017? We’re here to help. Contact our team for more strategies and solutions. Do You Have Plans to Automate Your Pre-Employment Screening Process in 2017?